Littbarski: "100 per cent football"
Wolfsburg - With a Japanese player currently on the books at every other Bundesliga club, followers of the German game have discovered a voracious appetite for information about the football culture of the far eastern island nation. 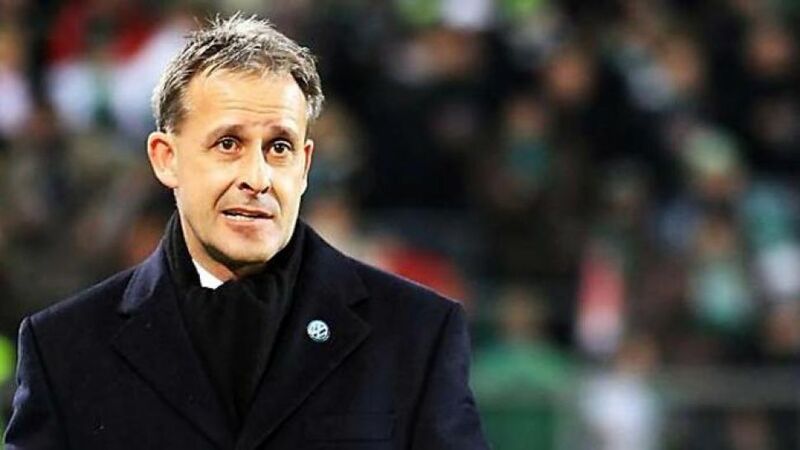 One man who can provide a rare level of insight in that department is Pierre Littbarski. Three years after helping Germany to victory at the 1990 World Cup, the gifted attacking midfielder made his way to Japan where, both on the pitch and as a coach, he played a pivotal role in furthering the country's footballing development. In conversation with bundesliga.com, Littbarski, now in charge of youth development at VfL Wolfsburg, discusses the cultural differences to which clubs need to pay particular attention when they bring a Japanese player on board - and why it is the midfielders above all who have thus far been made a particular mark in the Bundesliga. bundesliga.com: Pierre Littbarski, Japanese players are becoming ever more the rage with European clubs. You went in the opposite direction, finishing your playing career in Japan, where you also met your future Japanese wife. You're therefore well-qualified to judge just how much of a culture shock it is to move from Germany to Japan, or vice versa. Pierre Littbarski: It's quite considerable, from the food to the traditions and general way of living - everyday human interaction, the way people are raised and educated, the significance of the extended family unit. Living here requires quite a process of adaptation for someone from Japan. bundesliga.com: That's a lot alright. How does it manifest itself in day-to-day life? Littbarski: Japanese players come across as very modest and unassuming. It's very noticeable when they give an interview, for example. bundesliga.com: And out on the pitch? Littbarski: It takes a bit of getting used to for us. There's a big difference in the mentality, especially when it comes to exercising criticism. I had to learn that the hard way myself, there were times early on when I'd shout and bawl out on the pitch, for the good of the team, of course, but for the Japanese it was shocking. You have to be careful in the dressing room after the match as well. Our understanding of what constitutes irony or leg-pulling isn't the same as theirs. If I tell a teammate here, "Man, you're blind," I'm going to get a response in the same spirit. A Japanese player will find that frightening rather than funny. Littbarski: For sure. But when I was over there, it was a lot more extreme. The younger generation, fortunately, are a bit more forward. But it's still tough for them to deal with because insults and general slagging-off just aren't part of their repertoire. bundesliga.com: To what degree does that linguistic gulf affect proper integration? Littbarski: To put it in a personal context, I needed the best part of ten years to get halfway on top of spoken and written Japanese. The other way around, it's not going to be any easier. bundesliga.com: The cliché of the Japanese abroad is in a group, with cameras at the ready. How can a club help a player arriving in Europe on his own? Littbarski: They don't come on their own, as a rule. Normally they have a manager with them and maybe two or three friends as well. They're pretty well prepared. What helps the clubs is to have a good interpreter on hand, one who understands football as well. Otherwise, it's just a matter of taking all the other settling-in problems off their hands as far as possible. Japanese players want to focus 100 percent on their football. And they put a lot of thought into what they'll be eating before they even get here. Although that said, I've found they often develop a taste for Currywurst anyway (laughs). bundesliga.com: The so-called "South American faction" is a well-known phenomenon from elsewhere: a small group of livewires with a similar mindset who hang out together a lot. Is it a good idea for clubs to bring at least one more Japanese player on board, as Nuremberg and Stuttgart have done, for a bit of company? Littbarski: You're not really comparing like with like. When I was coaching in Japan I had my own "Brazilian faction," who obviously did a lot together. The Japanese players who come to Germany first and foremost want to establish themselves. They get by on their own, working to a rigorous daily schedule, with very specific targets in mind. Another Japanese player could even represent an additional burden, as they'd be thinking about what their compatriot's doing as well. And that could affect their performance, especially if one's playing and the other isn't. Obviously they like meeting other Japanese people, but it doesn't have to be every day. bundesliga.com: In , VfL Wolfsburg have the Bundesliga's longest-serving current Japanese player. Do the newcomers look to him for advice? Littbarski: Occasionally, absolutely. The players get together regularly in Düsseldorf, which is home to Germany's largest Japanese community by some way. They have their favourite restaurants there, where they meet up and exchange all the latest news. bundesliga.com: There's a conspicuous absence of goalkeepers, centre backs and out-and-out strikers among the Bundesliga's Japanese contingent so far. Does the general difference in stature make for radically different playing philosophies in Germany and Japan? Littbarski: Obviously they're a bit smaller on average and that does contribute to a different playing style. But I think they're well suited to the predominant style in football at the moment. Their ability to operate in the tightest of spaces and general mobility, coupled with excellent technique, are all very advantageous. Especially in midfield these days, measured against players who are a bit lankier or heavier. That's what the modern game demands. And on top of that, they bring total commitment, also in training self-discipline and a bent towards perfectionism as well.